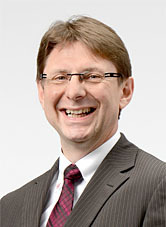 Andreas Schilpp, our expert regarding the flex-rigid technology, answers your technical questions. What is the minimum annular ring for vias in flex-rigid technology? In general there is no difference to rigid circuit boards. The values are defined in IPC-6013 and dependant from IPC-class specification. For example: according IPC class 2 up to 90° breakout of hole from land is allowed, for IPC class 3 the annular ring has to be minimum 50µm for external layers and 25µm for internal layers. Bending of FR4 Semiflex – is it allowed in both directions? As described in the design rules FR4 Semiflex bending is only allowed with milling area inside. To achieve a S-shaped bending two bending areas (top/bottom) are necessary with a rigid part in between. What are the differences of LCP compared to Polyimide? Liquid Crystal Polymer foils have lower moisture intake and better dimensional stability compared to Polyimide. The availability is worse and the price is higher compared to Polyimide. Is there a UL-Listing available for flex-rigid? Yes! Würth Elektronik has listed 4 types at UL. Additional to flamma-bility rating UL94 V-0 respectively V-1 there are so-called „full recognition“ types with MOT120, CTI and DSR label. Unique is Type „68“ with a comparative tracking index of PLC2 (250…400V)! How much does FR4 Semiflex cost? FR4 Semiflex is based on rigid circuit boards with slightly modified stack-ups. Additional expenditure is needed for z-axis controlled depth milling and flexible soldermask application by means of screen printing. Compared to heterogeneous systems using cables and connectors there is a cost advantage at least on system level – for shielded cables and connectors even on component level with better performance at the same time! Can you comment on the stack-up use of RA copper/ED copper in static/dynamic installation? For static applications (IPC-2223 Use A – „flex-to-install“) or dynamical bending applications with little number of bending cycles or uncritical bending conditions ED copper (Electro-Deposited) is standard. RA copper (Rolled-Annealed) is used in dynamic applications (IPC-2223 Use B – „dynamical bending“), applications with several billions of bending cycles are known. RA copper has a preferred direction MD = machine direction. In the other direction the bending capability is remarkably worse. In case of flex-rigid with flex layer outside generally also the flexible area is plated – so this copper is ED-copper. More copper qualities are specified in IPC4562. Is it possible to get stack-up drawings from you? Yes, we like to share our standard stack-up drawings with you or even individual stack-up drawings meeting your special requirements, for expample for impedance controlled designs. Some standard stack-ups you can find on our website. Which software do we need to design flex-rigid? Flex-rigid designs are possible with every EDA-software, from easy like eagle to sofisticated like Mentor. One additional help layer is necessary for the definition of the flexible and rigid areas. What is the maximum copper thickness with flex-rigid? Nominal thickness is 70µm (standard tolerances according to IPC like for rigid ciruit boards). Gigabit signal – is it advisble to use flex-rigid? Yes, many USB3-cameras use flex-rigid circuit boards. It is important to agree on a well-tuned design with defined impedances. In some cases Polyimide cores with 3mil or 4mil thickness are used. Flex inside or outside – what are the advantages/disadvantages and your recommendation? Is there a plan to offer FR4 Semiflex via online shop WEdirekt? Actually there is no plan but there is a chance as FR4 Semiflex is very close to standard rigid pcbs. How good is the bendability of FR4 Semiflex with integrated Wirelaid wires? The development of integrating wires 100 µm x 500 µm into FR4 Semiflex is still ongoing. Tests have shown a good bendability if there is an even distribution of the copper along the bending line. Could heat be applied to assist the bending of Semiflex? Generally yes, but we do not recommend this. To get a noticeable softening of the epoxy resin a high temperature clearly above Tg has to be applied. But this could lead to aging and embrittlement. On the other hand we recommend optimizing the stack-up if necessary and in particular the use of a bending aid! How much is the surcharge for depth milling from both sides? The extra expenditure is double for the processes milling (preproduction, load and unload) and flexible solder mask. As a rough number this could be 10%. What about the thermal resistance of Semiflex during overmolding with plastic? The thermal resistance of FR4 Semiflex is exactly the same as the used base material FR4 respectively FR4 with a higher Tg or T260 value. During the design of the molding tool it has to be regarded that the filling process will not load the semiflexible area which could damage this. Is there a possibility of a bending radius of 3 mm with Semiflex and what has to be regarded for this? According to design rules the standard bending radius is 5mm respectively 4 mm with adapted stack-up. Smaller bending radii are possible in general but have to be designed and qualified for every application individually. We would like to assist you. How much ist the maximum ampacity with same load on all conductors on a Semiflex bending area? The question in this form could not be answered. Please apply IPC-2152 "Standard for Determining Current Carrying Capacity in Printed Board Design". Important parameters besides layout related cross sectional area of the conductors are the maximum allowed temperature rising and the pcb construction. What is the price difference of a FR4 Semiflex with 2 layers and 1 bending area compared with a standard 2 layers pcb? The price of a FR4 Semiflex pcb includes that of the rigid board plus the surcharge for the processes for presicion depth routing and application of the flexible solder mask. As the expenditure for the routing is layout related the additional costs for this process could be in between 10 and 100%. We offer price estimation quotes for your design based on a drawing or sketch.